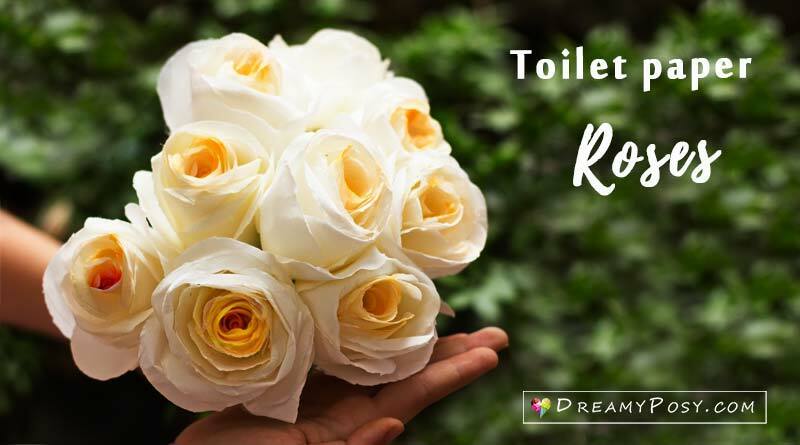 This quick way to make a toilet rose will show you step by step instruction from very simple suppliers. 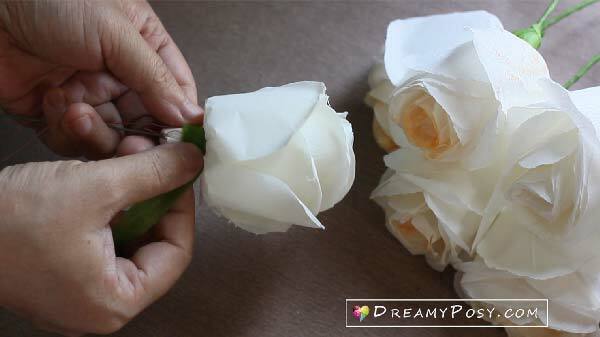 You could make these paper roses from the facial tissue as the texture of facial tissue and toilet paper is quite the same, but I need the super length of toilet paper, to apply this quickly and easily technique. Apply the 2-inch double-sided adhesive tape to one head of the toilet paper and leave the other head to unglue. The toilet paper is so thin, so double it will help the paper be more sturdy. 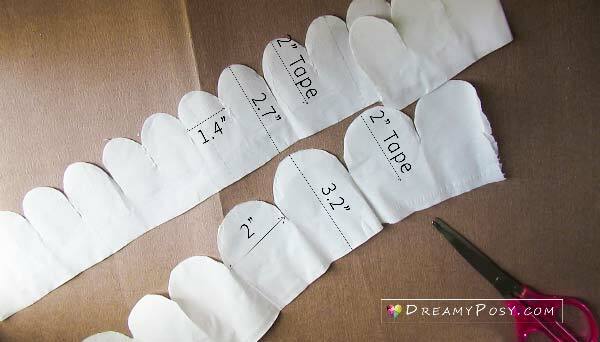 Each flower will need 2 strips of toilet paper with the length of 27 inches. 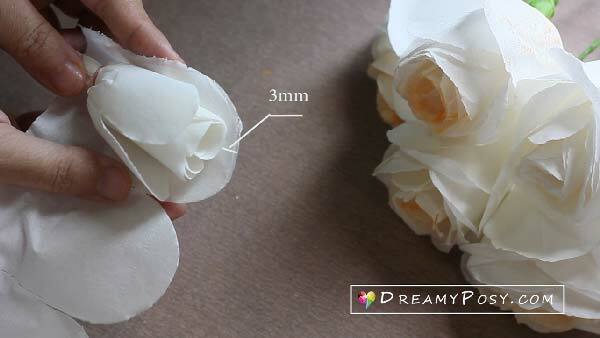 In the video tutorial, the length was just about 20 inches, but I found 27 inches will help your flower be more real. 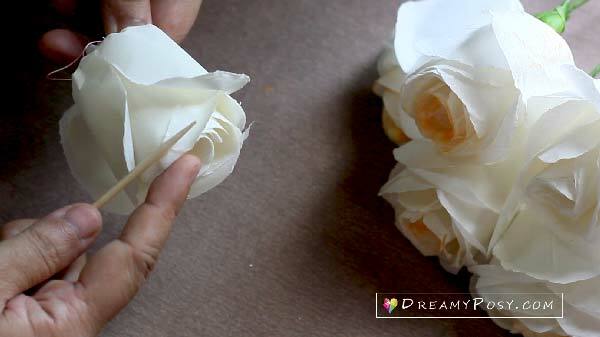 Step 3: Roll the petal strips together. Glue one head of the small-petal-strip to the wire and start to roll here. Try to keep the center of the rose as the lowest point of the flower. Just try to loose your hands while rolling, this is very important. 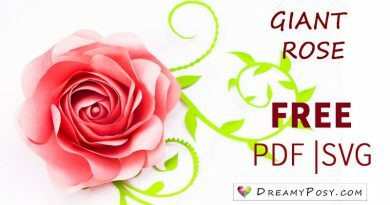 Tightened roll will not make your rose be realistic. I used the thread instead of glue in this step as I found it’s much easier to just grab and tie that thin bottom. When arranging the second strip, it’s important to ensure that your outer petals will not overlap (on the same positions) of the inner petals. Use a small stick to curl every petal you can. 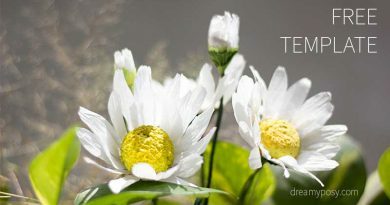 This texture of the new doubled paper is as real as a white petal as well that you could make purity white roses. I use orange pastel chalk power in this step because it’s easier to shoot color roses than white ones with my poor photography skill, lol. 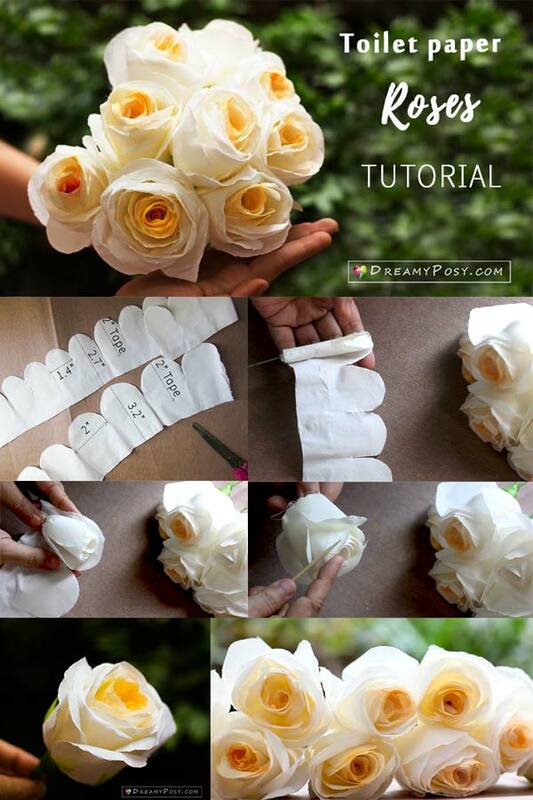 Just tie the bottom of the flower and wrap it you with floral tape. 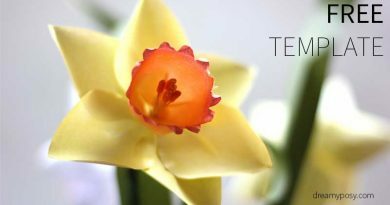 Try a sepal template from the tissue rose tutorial if you want.